No positions are currently being advertised by the School. If you are an employee at Liverpool, Bansktown-Lidcombe or Fairfield Hospitals and would like more information on a Conjoint Appointment, more information is available online. UNSW offers a modern, dynamic and innovative teaching and learning environment with extensive social and recreational facilities. The UNSW campus is a compact yet beautiful, architecturally sophisticated setting, offering an enviable, cosmopolitan lifestyle for staff and students. 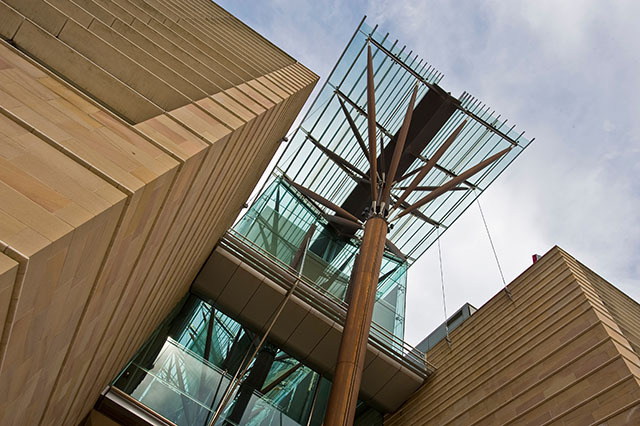 Study and research facilities are comprehensive, with a widely acclaimed library network housing more than two million volumes, extensive electronic resources and access to volumes held in libraries at all major Australian research institutions. There is an award-winning bookshop on campus and a vast array of student services available. UNSW has hundreds of sport and recreational clubs and societies for staff and students including several classical music groups who perform regularly. There is also a top class gymnasium with a fully equipped weights/cardio room, indoor swimming pool and a range of classes and courts to suit all fitness needs. UNSW has been recognised for creating a work culture that supports and advances women with an Employer of Choice for Women citation. The award comes from the Equal Opportunity for Women in the Workplace Agency (EOWA). The University was acknowledged as one of only 115 organisations across Australia that actively recognise and address the needs of female workers, to assist them to reach their full potential in the workplace. UNSW values the diverse social, economic, cultural and religious backgrounds of its employees and promotes this by providing an accessible campus environment, flexible work practices for those with family and other responsibilities or with disabilities, including training on diversity management and cross-cultural communication. As an UNSW employee you will be able to enjoy a safe and non-discriminatory environment and have the same opportunities to benefit from employment as other employees. In relation to employment equity, staff can access work opportunities such as staff development and training, promotion and re‑evaluation, higher duties and a suitable and safe working environment. Recreation Leave accrues at the rate of one and two-third days per month to a total entitlement of 20 days per year. Recreation leave cannot be taken in advance of its accrual. Sick Leave is granted under the following arrangements: ten days in the first year of service, 15 days in the second and 30 days in any subsequent year. Special Leave of up to three days per year may be granted in cases of emergency and unforseen circumstances e.g. fire or flood damage to your home. Applications for Special Leave must be made to the supervisor and will be considered on its merits. There is no entitlement to Special Leave if the leave sought is during a period of other leave. Observation of Holy Days and Essential Religious or Cultural Duties allows you to utilise recreation leave or long service leave or leave without pay for the purposes of attending holy days or essential religious or cultural duties associated with your particular religious faith or culture. Carer’s Leave allows you to use part of your sick leave to care for an immediate family member who is ill. Up to 10 days of sick leave entitlement can be used as carer’s leave in any one of the first two years of employment. In the third and subsequent years up to 12 days of sick leave can be used for carer’s leave. Parental Leave is available to cover such situations as maternity leave, adoption leave and paternity leave. Long Service Leave (LSL) may be applied for after ten years service. The minimum period of long service that can be taken is one week. Bereavement Leave of up to three days per year may be granted in the case of death of an immediate family. In unfortunate circumstances where another immediate family member is deceased in the same year, approval to grant a further three days bereavement leave may be granted by the Director, Human Resources. Leave Without Pay (LWOP) may be granted on application. Salary is paid fortnightly (every second Thursday) calculated up to and including the Thursday. Payment is made to a bank, building society or credit union account nominated by the employee. The University's flexible payroll systems allow premiums, medical and hospital fund contributions, and credit union deposits or repayments. The University recognises the value to employees of flexible remuneration planning. Salary sacrificing is one way to provide this flexibility. The principle aim of salary sacrificing is to legitimately restructure the way you receive your salary to suit your individual needs and potentially maximise your take home pay. This is achieved by allowing you to receive part of your salary in the form of benefits rather than receiving it all as salary. The University offers a generous superannuation scheme with up to 17% employer contributions available to most staff on contracts of 2 years or more. For contracts of less than 2 years an employer contribution of 9% is paid. UNSW employees who are members of the Superannuation Scheme for Australian Universities (SSAU) and the UNSW Special Purposes Superannuation Scheme have the option of salary sacrificing. UNSW has a comprehensive range of family-friendly work practices in place to assist staff maintain a work-life balance. These practices are designed to find the best possible match between the interests of the University and those of individual employees and can include flex-time, permanent part-time work, tele-commuting (working from home), job sharing, provision of child care, recognition of carer's responsibilities and generous, flexible leave, such as parental leave and carer's leave. The University Library and its services are available to staff. Upon receiving your employee number and completing an application form you will have full borrowing rights. The University Health Service The University Health Service is an Accredited General Practice and is located on the ground floor of eastern wing of the Quadrangle Building. Private General Practitioners operate within the service. Students and OSHC card holders are bulk billed. An Optometry Clinic offers staff and students general eye examinations, specialist low vision services, colour vision assessment, vision training, sports vision assessments and contact lens fitting. Eye examinations are covered by Medicare. Spectacles and contact lenses are supplied at a reduced cost. A free and confidential Staff Counselling Service is available to University staff through the UNSW Employee Assistance Program (EAP) which is provided by an independent firm engaged by the University. Chaplains from a variety of religious denominations are available.